I was recently asked by Ladbrokes to write a post about what to wear to the Ladies Day at Cheltenham Festival. For those of you that don’t know, the Ladies Day is a day of racing at Cheltenham Racecourse, part of their four day Cheltenham Festival. The Ladies Day is probably the most famous day and is notable not only for its races but for the fashion awards they give out, as well as the various fashion faux pas. I must admit, I do enjoy the occasional flutter. We have a bit of a tradition in our house of putting bets on the football on Boxing Day and I also always put bets on the Grand National and enter the sweepstake at work. As much as I love the excitement of having put a bet on I’d certainly get more excited at the possibility of putting an outfit together, albeit for a day of watching races in rather chilly conditions (the Ladies Day is next month on the 13 March). As much as I love parading around in a pretty dress and heels (providing the ground isn’t too soft of course! ), the March weather is not quite conducive to bare arms and so a trench coat would be perfect for wrapping up warm. Although the D&G trench is a little out of my price range the tweed would be very appropriate and is always a popular choice on Ladies Day. Hats and fascinators are always a must and from looking through previous Ladies Day photos it seems to be that the rule is ‘the bigger the better’. I always love looking at the photos after Ladies Day, the hats at Ascot are always a sight to behold! My favourite was this set of rather patriotic hats at last year’s. I adore the fried breakfast and the teapot! 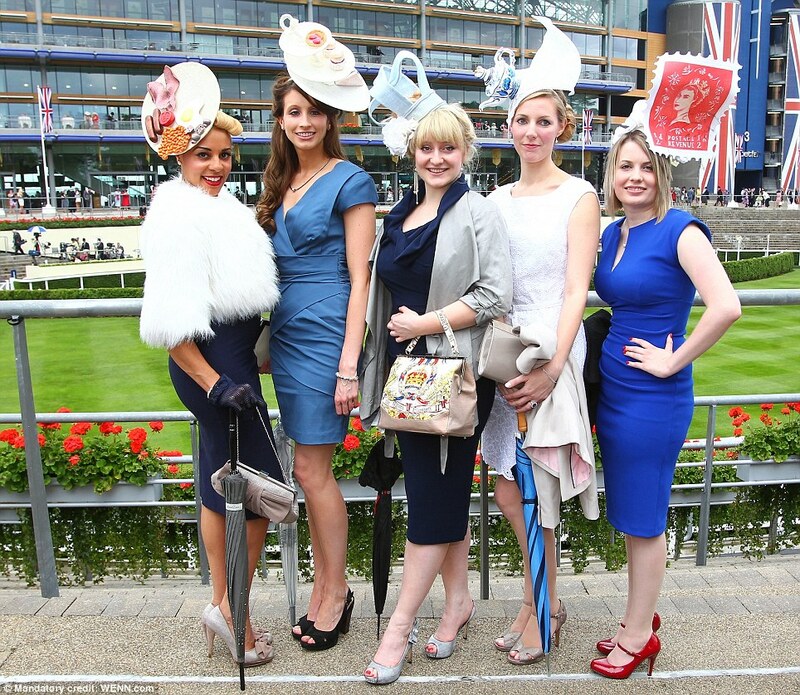 Have you ever been to a horse racing event – or a Ladies Day?